Our goal in developing the MC-4 was to make it as easy as possible for managers to collect and analyze data from their fleets in real time. 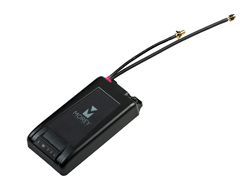 Morey, an electronics and telematics manufacturing company, announced today the launch of its newest telematics devices, the MC-4 and MC-4+ – designed to log and store diagnostic, power and locational data for single and mixed fleets. With the MC-4, fleet managers can remotely access equipment performance data from across the globe using Bluetooth, GPS and 4G LTE technology and untethered dead reckoning for continuous positioning. The device contains a plug-and-play deployment program allowing users to easily install the device, customize the datasets they want to receive, and begin receiving data immediately. It has robust vehicle and machine interface capabilities and can be installed on any Class I-VIII vehicles. The MC-4 device also acts as an edge computing device with the ability to analyze data from the vehicle’s ancillary accessories as it’s generated. It can then communicate anomalies directly to the data center, streamlining the decision-making process for fleet managers and minimizing equipment downtime. For fleets required to track and share records of duty status data under the Federal Motor Carrier Safety Administration's Electronic Logging Device (ELD) mandate, the MC-4 can be used to maintain compliance with the new rule, as it allows drivers to electronically log hours-of-service and send them directly to the fleet managers. Morey will also offer the MC-4+, which enhances the MC-4’s features with a rechargeable backup battery and a more robust mechanical enclosure sealed to IP69K. Designed to withstand the most rugged environments and conditions, like extreme flooding, the MC-4+’s internal battery allows the device to collect data whether the vehicle’s assets are powered on or not, for more than a week. Whether overseeing construction, agriculture or commercial fleets, the MC-4 and MC-4+ are the only telematic devices managers need to enable communication between backend systems and assets. Like all of Morey’s products, the MC-4 and MC-4+ are designed, developed, manufactured and distributed from the Morey Corporation headquarters in Woodridge, Ill.
Morey is a global leader in developing and manufacturing transformative technologies in the smart connectivity and energy efficiency electronics sectors. Its products and solutions serve a wide variety of industries and markets including automotive and commercial vehicle, con-agriculture and off-road, and industrial. By combining engineering, manufacturing and business services, Morey serves as a scalable partner for industry-leading global OEMs, tier ones and technology firms — providing the expertise and innovation needed to connect assets, integrate within the IoT, increase energy efficiency and drive strategic business growth.